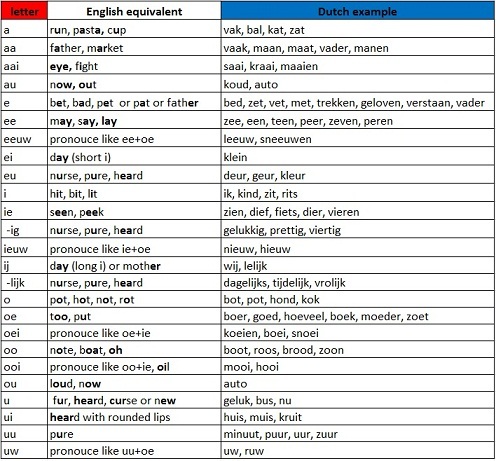 Vowels and Consonants in Dutch : Begin learn dutch online everyday ! The most difficult of learning Dutch is the pronunciation. Dutch is sound related to German and English, but The Dutch matering the g, ch and r. Don't be afraid to speak it out. Below guides you how to the Dutch vowels(klinkers) and consonants(medeklinkers). 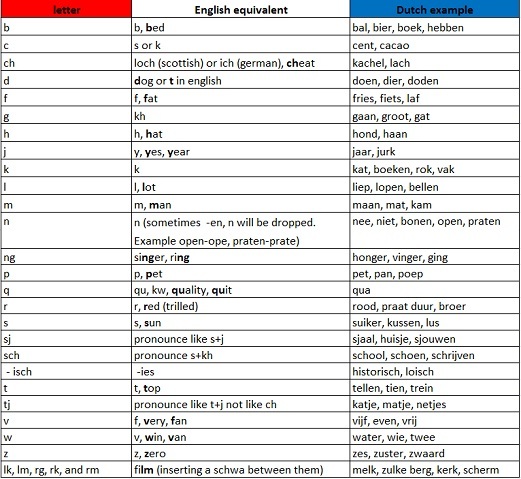 Dutch has many vowel and dipthong (combined vowel) sounds. Most vowels have a long and short version. Dutch consonants are pronouce as they're in English. You might need extra time to practice g and ch, which is guttural and harsher than in English. And r sound is traditionally made the tongue forward, most of people pronouce like r in French.